#214 Mademoiselle is a shy and understated beauty. When I swatched it first at the counter, I remember writing my first impressions and this one was my "least favorite" of the bunch. This is why I didn't pull the trigger until I owned 7 of the 8 palettes and felt the urge to complete the collection. 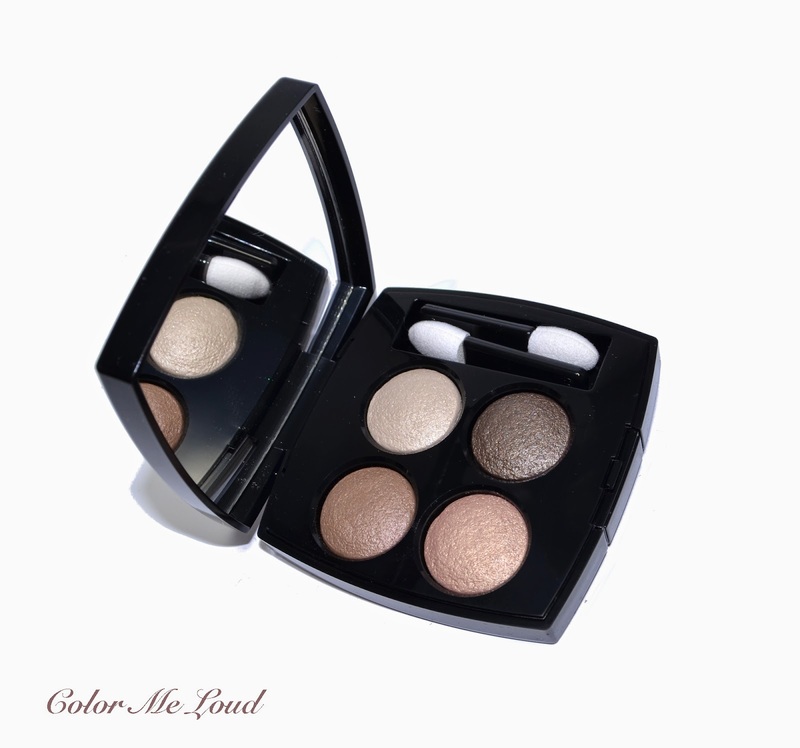 The reason why I didn't feel it the first time around was because of its golden and khaki undertones, which blends with the colors of my eyes and crashes a little against the mauve undertones of my skin. After purchasing Mademoiselle and trying it, it turns out that I really like it. I still believe Mademoiselle would look much better on others, but nevertheless I enjoy the smooth and silky texture, lovely shade range and its subtle but pretty shimmer. I especially recommend it for those with blue eyes, this one would make their eyes pop. Also warmer skin toned fair to medium complexions would love Mademoiselle for a daily subtle and polished look. Upper left: A medium tan brown with satin finish. 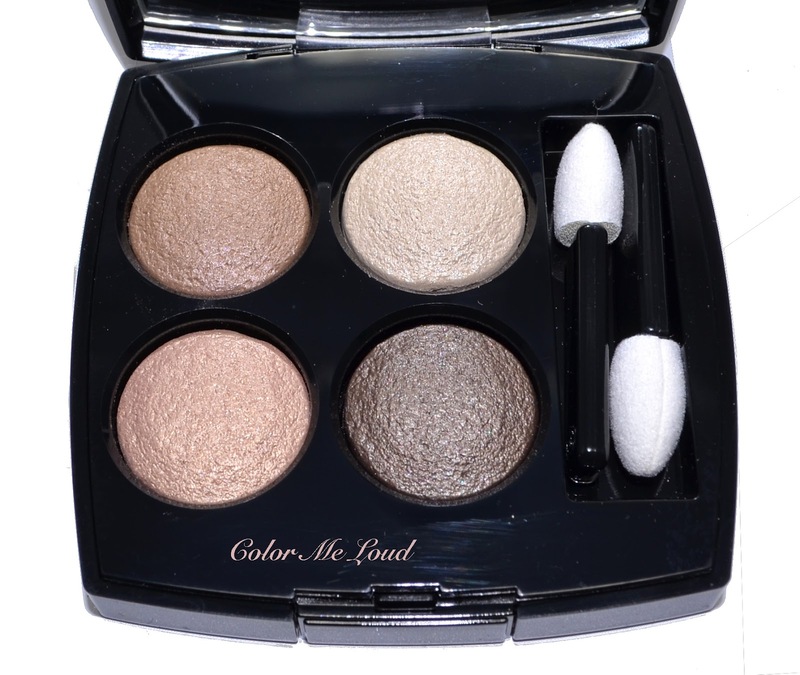 Upper right: A light shimmery ivory. Bottom left: A stunning mid-toned natural gold with satin to shimmery finish. This one is my favorite of the bunch, it manages to get the attention without shouting, if that makes sense. Bottom right: A deep cool brown which leans slightly khaki. It has satin finish but it doesn't look very shimmery once applied on the lids. Below you can see a classical look one would create with this palette. 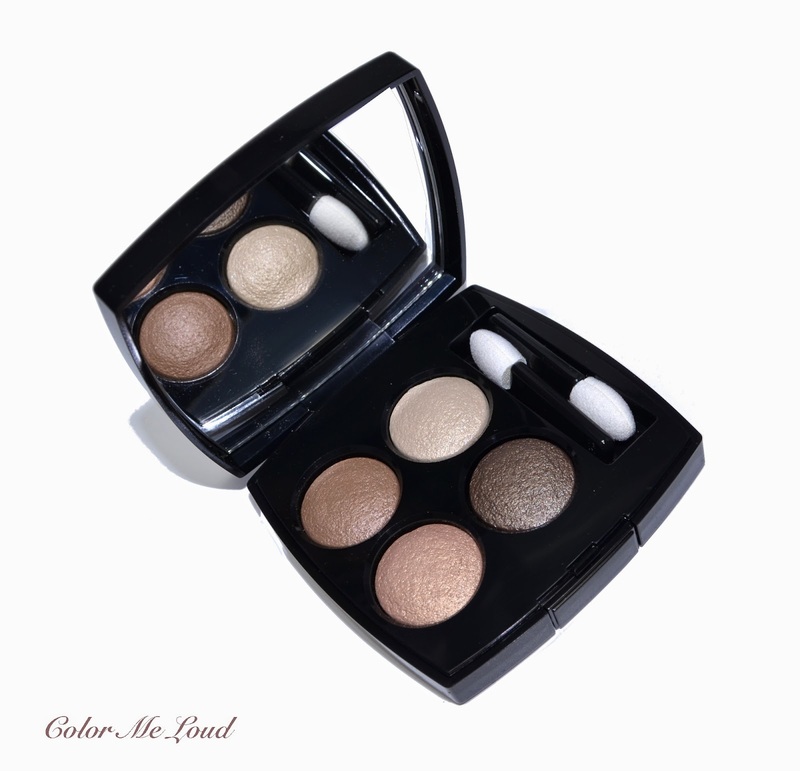 Golden shade is worn on the lid, ivory is used to highlight the inner corner and slightly dusted under brow bone. I defined the outer corner first with the mid-toned brown (upper left) then with the deeper khaki brown. I also applied a tiniest bit of the mid-toned brown along the lower lash line. I complemented this look with Urban Decay 24/7 Glide On Pencil in Stash and Chanel Le Volume mascara. 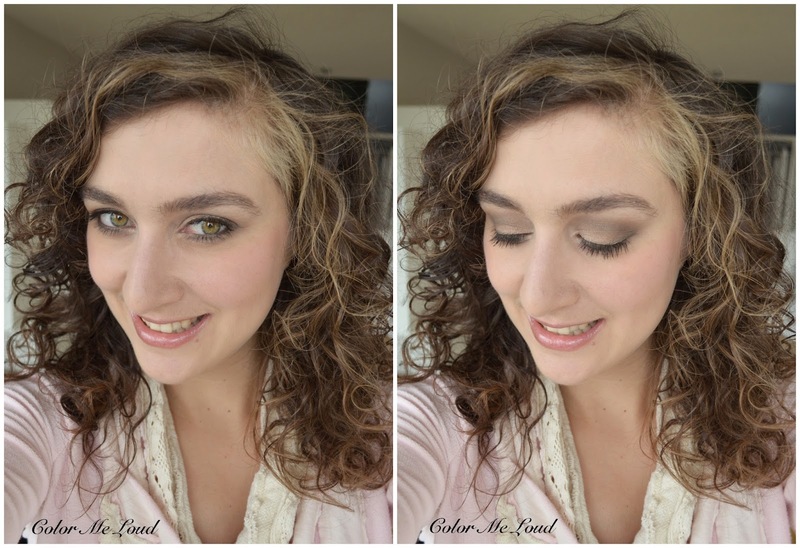 Final thoughts: Chanel Les 4 Ombres #214 Tissé Mademoiselle is another lovely palette from the brand's fabulous new line. If you are a drama queen, you might want to keep looking but if you need a polished day-time look, be sure to check this one out. Do you like splurging for make-up which is subtle enough to be worn frequently or do you rather find interesting color stories and creative combinations splurge-worthy? *The products which are marked are sent free of charge for my consideration and honest review. Very, very pretty! Those colors look AMAZING on you!! I think that the splurge is worth something that's worn frequently, be it interesting colors or more neutral ones. HAI SARA. >:( Why you keep on taunting me with your amazing face with these Chanels (and those YSLs)? Now that they have finally landed in the US, I think I must look at them in person. 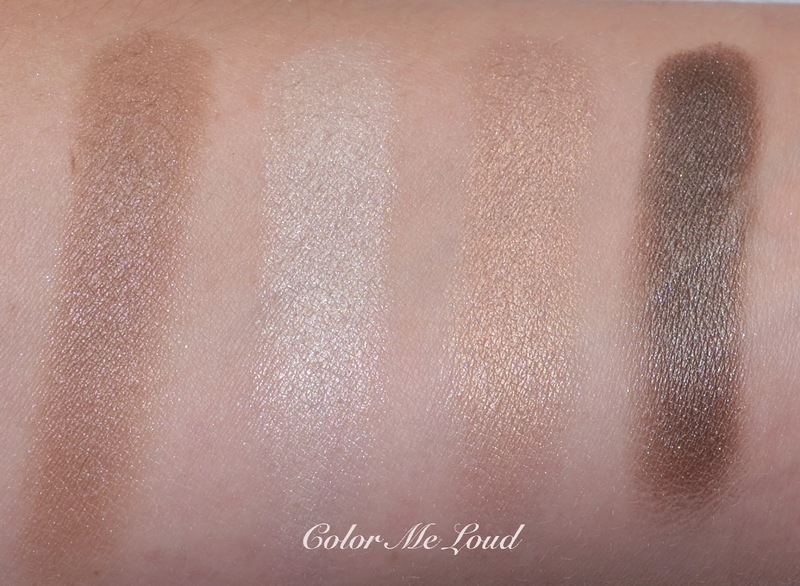 Tisse Mademoiselle is a gorgeous neutral, and nicely executed for sure (and I bet the first thing I would likely choose), but these quads seem to do those dramatic color combinations better. Gorgeous in the pan and on the eyes! I haven't seen these popping up in my local mall, but I will definitely be looking into these soon! You are right about the splurge, it should be worn often enough to justify the price. These palettes were made for you!! I've skipped on the neutral quads for now, but I'm very impressed with this new formula, so may pick up this up, though I'm looking to get Gabrielle as my next quad of choice. Gabrielle is really nice. The dark shades are very similar on the lids though. I think my favs would be Venetien, Vendome and Rivoli. Which ones have you picked up until now? Thanks so much for writing such a helpful review, Sara! It's funny as I was just looking at Tisse Mademoiselle yesterday and wasn't sure how I felt about it. I left the store purchasing just Tisse Vendome. However, after reading your review of Mademoiselle this afternoon, I went to the store after work and purchased Tisse Mademoiselle! I can't wait to try it! You pull off all the eyeshadow quads so well :). glad you liked them too. Vendome is a stunner and I am happy that you got Mademoiselle too. Let me know how you like it after trying it out. Thanks for the compliment, I think Mademoiselle would look better on a suitable complexion/eye combo but I tried my best here. Thank you for all the swatches, Sara. I always prefer something I can wear easily and I have yet to check these out in person. I was disappointed with Chanel many times before, so I just couldn't bring myself to feel too excited about these palettes. Then again, your posts are definitely swaying me a little here! LOL Helene, I know I was also like this after trying them out at the counter, I thought I was doomed lol. yes these are very pretty, shimmery but not over the top. yes, those are great for an everyday natural eye. Hi Sara, ahem, tiny collection you've got going indeed! ;) I don't know why Mademoiselle just doesn't capture my attention all that much. I can't even get around to swatching it! Goodness.... but it looks lovely on you, thanks for your review!